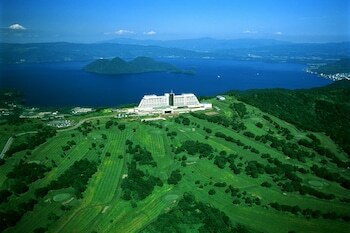 With a stay at The Windsor Hotel TOYA in Toyako, you'll be 6.5 mi (10.5 km) from Lake Toya and 7.7 mi (12.3 km) from Oshamanbe Onsen. Featured amenities include express check-out, dry cleaning/laundry services, and multilingual staff. Event facilities at this hotel consist of conference space and a meeting room. A train station pick-up service is provided at no charge, and free self parking is available onsite. With a stay at Hotel Alpina in Kobe (Shinkaichi), you'll be within a 10-minute walk of Osaka Bay and Minatogawa Shrine. Free self parking is available onsite. Located in Tokyo (Taito), this apartment is within a 10-minute walk of Sensoji Temple and Asakusa Shrine. When you stay at Kasasa Ebisu in Minamisatsuma, you'll be steps from Ryukyu Islands. The front desk is staffed during limited hours. Free self parking is available onsite.